Should candidate Fire Officers be required to face a Kobayashi Maru style exercise? For the Trekkies out there, you know exactly what I’m talking about. For everyone else; The Kobayashi Maru, also known as the No-Win scenario, is a fictional test given to cadets attending Starfleet Academy in the popular science-fiction series, Star Trek. 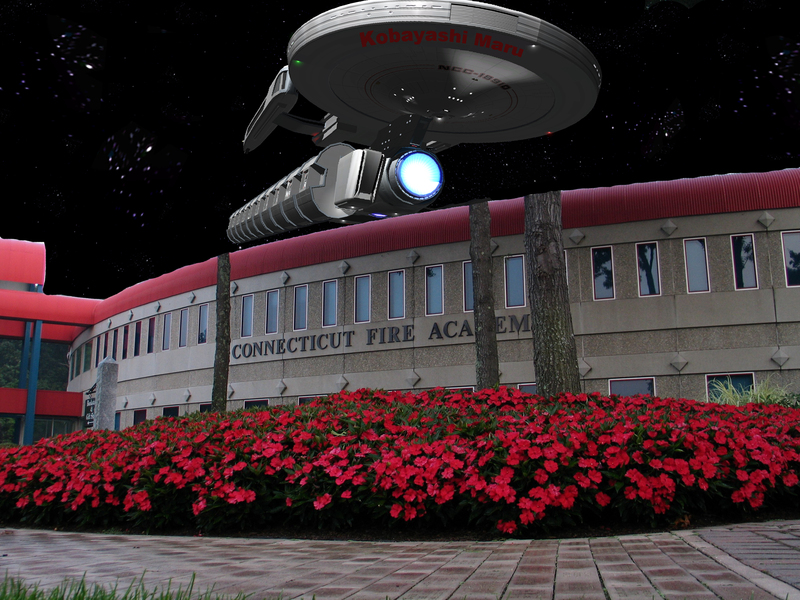 The exercise involves a realistic simulator that mimics the bridge of the Starship Enterprise. The cadet is acting as Captain of the Starship and is tested on his/her decision-making abilities under pressure situations. The Kobayashi Maru is the name of a Fuel Carrier with 300 crew-members aboard. The Carrier is sending a distress signal after sustaining heavy damage from hitting a mine in the Klingon Neutral Zone. The cadet has the ability to save the crew of the Kobayashi Maru, but in order to achieve that they have break a treaty, which triggers the arrival of three Klingon warships. It’s a “No-Win” scenario because it’s programmed-design makes it impossible for the cadet to simultaneously rescue the crew of the Kobayashi Maru while avoiding a skirmish with the Klingons and still get out alive. The cadet has the moral dilemma of breaking an interstellar treaty with a hostile force to save the 300-person crew at their own possible demise or sit and watch them perish from the safety of their ship. Either way, people die and it’s not possible for there to be a positive outcome. The idea of the exercise is to provide prospective Starfleet Captains with a scenario that is designed to have no winnable solution. In essence, you are expected to fail but it allows you to decide, or at least have some control over, exactly how you fail. The objective is to subject the cadet to a stressful scenario that will test their ability to process life and death moral dilemmas. The end result of the test is irrelevant. The test itself is intended to judge the character of the prospective Captain who would be expected to make these difficult decisions if promoted. In this case, it’s the thought behind the Capta in’s decision that holds the most weight, and frankly, there isn’t a defined passing or failing thought process. It’s a pure judgment of character. 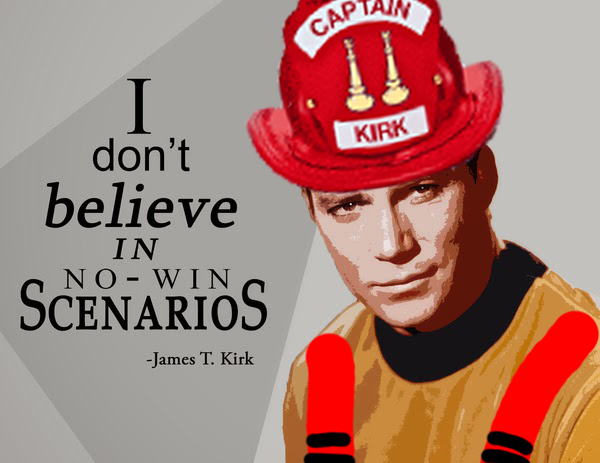 Captain Kirk didn’t believe in the “No-Win” scenario. He actually had to cheat the test by reprogramming it in order to win during his third attempt. Should Fire Officers be required to face a “No-Win” scenario before becoming certified or labeled qualified? I think they should. The Kobayashi Maru is a solid way to measure one’s decision-making abilities when faced with a barrage of obstacles. In 2008 I had the privilege of taking Fire Officer II at the Connecticut(CT) Fire Academy (CFA) located on the backside of Bradley International Airport in Windsor Locks. I say privilege because I’ve previously attended fire certification classes at TEEX and likewise Alabama Fire College(AFC); I can say without question that Connecticut runs a very progressive Fire Academy and I feel as if the curriculum is light-years ahead of their counterparts. Not to say TEE X and AFC are bad schools by any stretch, the education I received at both was top notch and the instructors were incredibly knowledgeable. However with that said, at the end of CFA’s Fire Officer II class was a simulated practical that mimicked the intention of a Kobayashi Maru. As I recall, one of the scenarios was a 2 or 3 story brick nursing home that had been renovated a few times. There were water supply issues, rescue challenges, manpower and mutual delays, as well as bizarre construction features. It didn’t matter what decision I made, there was always an obstacle or a reactionary problem from my command decisions. It was nerve-racking to say the least and my mind was racing a mile a minute. No matter what I did, I couldn’t get ahead of the scenario. It was frustrating and pushed the limits of my incident command abilities as well as my emotional intelligence. CFA’s Kobayashi Maru had a panel of 3-5 well-experienced and knowledgeable Chiefs, hand-picked, from a few of the larger cities in the area. It was an intimidating group for this young up-and-comer and you knew you were on stage. The panel would constantly question my thought process but never elude to whether I was doing well or failing miserably. After making a command decision, all five heads would turn down towards their notepads and they would begin writing feverishly. The large screen in front of me projected the simulation. This was only a simulated incident, but you could definitely feel the heat. I realized years later while completing my Bachelors degree that Connecticut’s Kobayashi Maru style exercise was meant to test my resolve and my ability to make appropriate decisions under pressure. Decisions that I was required to reasonably justify in front of a panel o f experts. I am thankful to have had that experience and I’ve never forgotten it. It was clearly evident that the Connecticut Fire Academy takes the task of training it’s Fire Officers very seriously and rightly so. I’m not sure if the CFA still provides Kobayashi Maru style simulated incident command practical evaluations, but I hope they do, it was valuable and eye opening. I firmly believe it should be a requirement for Fire Officer candidates to undergo a Kobayashi Maru in order to evaluate their ability to make decisions appropriate for the situation. It also provides valuable educational insight if they are ever faced with an incident of that magnitude. The practical itself, although a test, turned into an incredibly valuable learning experience. I firmly believe that having to demonstrate your ability to lead a rapidly evolving and risky incident prior to becoming a fire officer is imperative to upholding the responsibility of possibly having to lead people to their potential, even if unintended, deaths. Your thought process and decision making abilities should be put in the hot seat and scrutinized. It’s an awful large responsibility and a heavy weight to carry if you think about it too much. Of course and as always, aside from the Kobayashi Maru, general on the job experience and performance evaluations of prospective leaders will develop the necessary skills that successfully lead firefighters into battle. Over the course of working shift together, everyone gets the general sense of how you process information. Firefighters should be able to anticipate the decisions of their leaders most of the time. The way most of us learn to command an incident is by taking ques from the white helmets we work for. Firefighters soak up experience throughout their careers which helps prepare them to face Kobayashi Maru type incidents. But shouldn’t that experience be put to the test before they are faced with making those decisions? Does you’re State, academy, or department require a Kobayashi Maru? 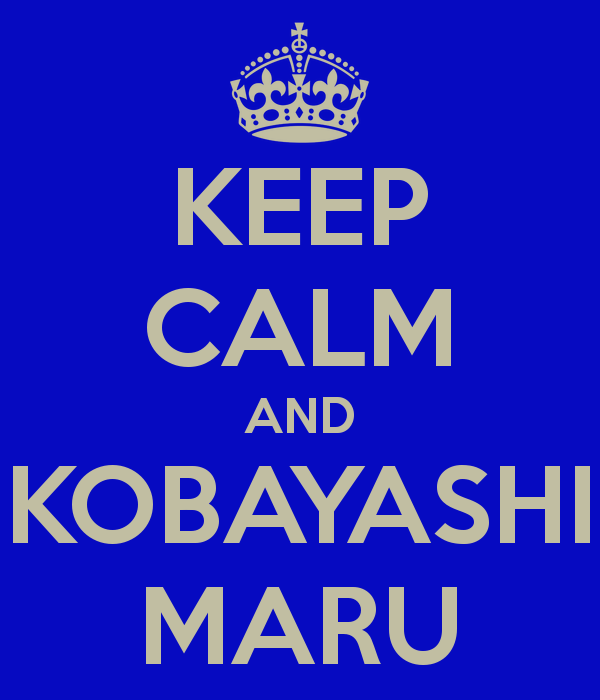 Definition: Kobayashi means “small forest.” Maru is a common suffix for Japanese seafaring vessels. Maru by itself means “circle”. Let’s talk about a realistic scenario. Try to forget the days of the school bus hitting the hospital that an airplane just hit. Your scenario may happen but how do you judge the every day emergency or the once a year disaster. If no one wins or survives then you do not either. This is a terrible idea, that is why no one has heard of it. This is an interesting idea! It seems like a way for chiefs to control the firefighting culture of their department, I.e. Hitting it hard from the yard or going interior, if it was used as part of a hiring process.